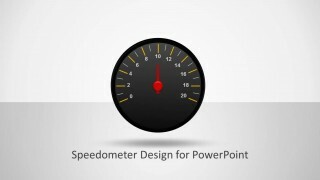 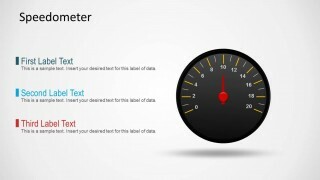 Speedometer Shape for PowerPoint Dashboards. 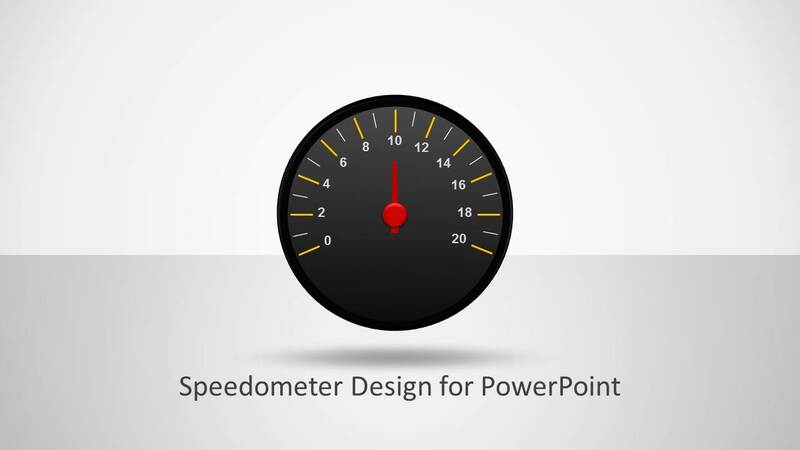 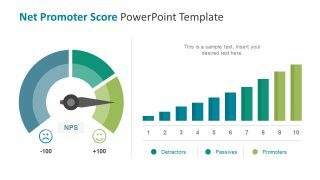 The speedometer shape for PowerPoint comes with a ready-made needle illustration that you can adjust to match your desired value. 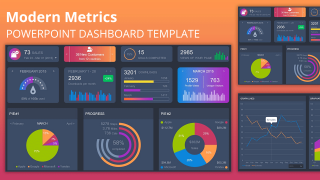 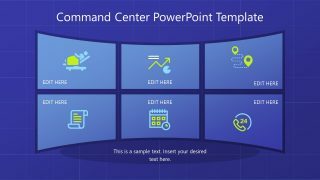 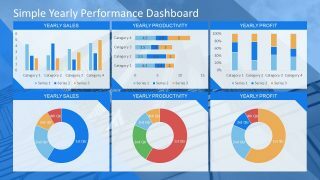 This is very useful if you want to customize the graphics and create a dashboard in PowerPoint for example. 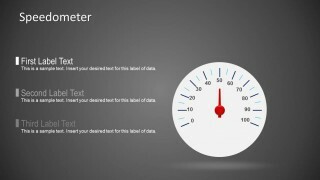 In order to change the speedometer needle value you can ungroup the shape and then rotate the needle the desired degrees.